There are tons of social sharing site available all over the inter net but Facebook is the most important among them, The like box they provide helps a blogger to reach their readers immediately in free of cost it also helps to provide better support to your user if you are running a client based niche blog. The like box widgets which are available on the internet are based on iframe which doesn't have responsive featyre also loads very slowly making your blog slower than snail, the widget which we are going to share is based on pure script and doesn't requires any iframe which makes it unique and fast loading., This version of the facebook like box is very much customizable and easy to edit. 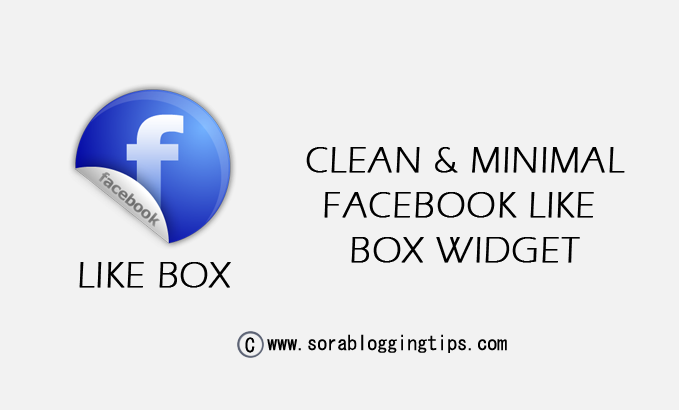 Lets move further and see How to Add Responsive Facebook Like Box Widget In Blogger. You can check a live preview of the Like Box widget below. Change the text in red with your Facebook username. To change the language of your facebook like box, you just have to replace the blue highlighted code with below language codes. Congrats !! You have made it. now you have learned that How to Add Responsive Facebook Like Box Widget In Blogger. Visit your blog and check the awesome widget live in action, hope you liked this tutorial, if you enjoyed then please share it with your friends, we are working hard to develop more such awesome widgets please stay tuned with Us. auf Wiedersehen !! (Goodbye in German). hello please the buton languge is not in english any help? Like button shows in Portugese language...how to change the language into english for like button and for followers also ? Use the above code its in english. It's not working on my blog. The DB widget appears but below this some code also appears. Please visit. I have provided link below. You have to add the code in separate widget. don't paste it inside disqus shortname widget. You have added the code in wrong place. add the codes in separate widget.